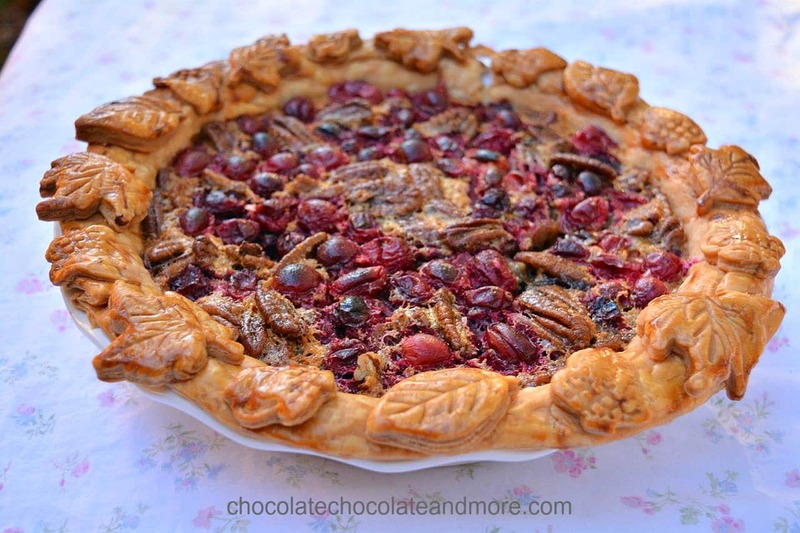 Cranberry Chocolate Pecan Pie - Chocolate Chocolate and More! Cranberries and chocolate transform traditional pecan pie into something special. 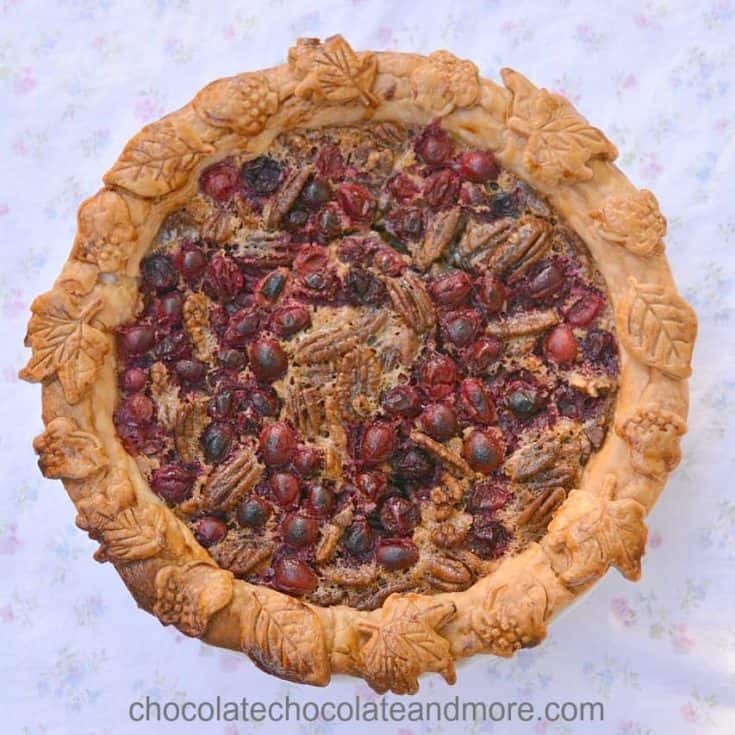 Cranberry Chocolate Pecan Pie goes together in minutes and is the perfect dessert for your holiday table. 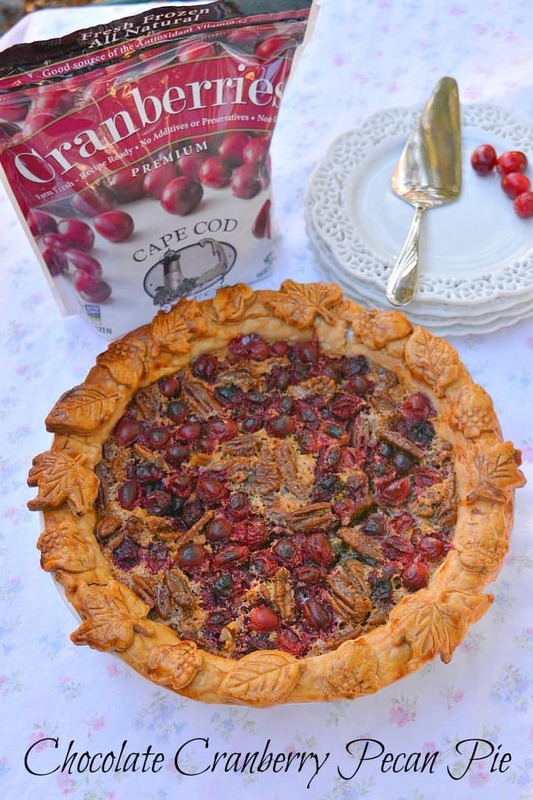 Cape Cod Select sent me some of their cranberries as part of a baking contest. I thought cranberries were all the same until I saw these. They are much larger than other cranberries I’ve seen. Best of all, they are available here in Texas at Central Market and other grocers. You can find a store near you by using their store locator. Such beautiful fruit deserves to be showcased in a dessert. Here in Texas pecans are plentiful. Almost everyone has a tree in their yard and there are plenty of pecan trees in the parks. Pecan pie is a must have on your Thanksgiving table. Everyone has their recipe but most are pretty much the same. 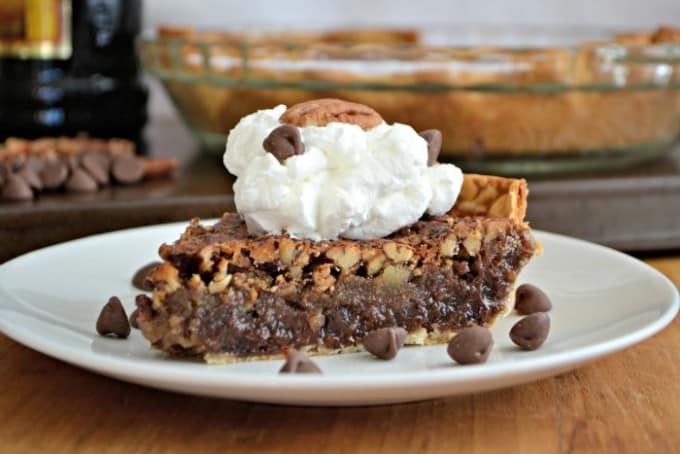 A long time a friend asked me to make a chocolate pecan pie. I found a great recipe in my old Joy of Cooking Cookbook. Problem is that copy got lost in my divorce and the new edition doesn’t have the same recipe. I decided to try my hand at re-creating that old recipe with the addition of Cape Cod Select Premium Frozen Cranberries. Cranberry Chocolate Pecan Pie goes together in just a few minutes so you’ll have more time to spend with your family. During the holidays, time with family is so precious that cutting a few corners is well worth it. 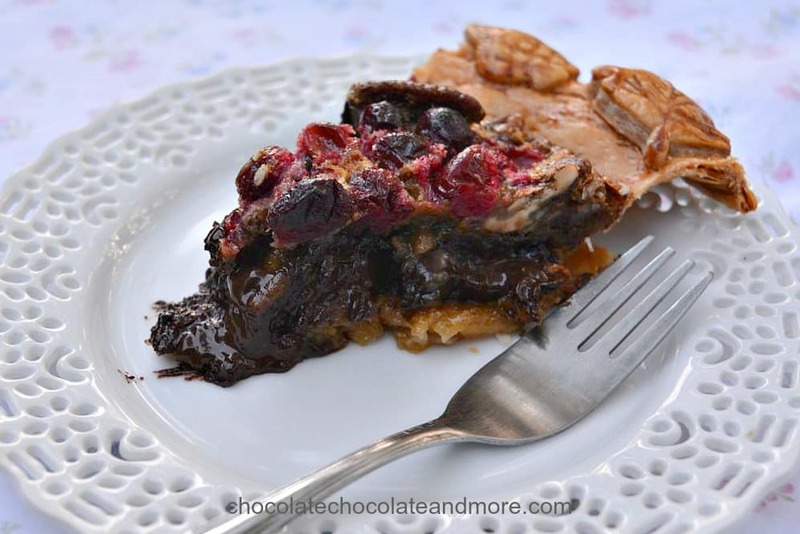 So sit back with your loved onces and enjoy a slice of cranberry chocolate pecan pie. Line a deep dish pie pan with pie crust. Spread chocolate disks, pecans and cranberries evenly over the bottom. Mix remaining ingredients together with a whisk and then pour over ingredients in the pie pan. Bake at 325°F for 55 minutes or until a knife inserted 1 inch from the edge comes out clean.